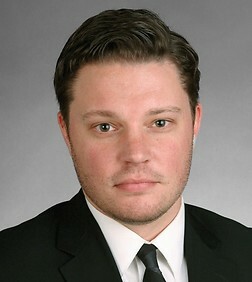 Dylan Ballard is a partner in the Antitrust and Competition Practice Group in the firm's San Francisco office. Dylan specializes in complex business litigation and white collar criminal matters, with an emphasis on antitrust and unfair competition issues. He has significant experience defending U.S. and multinational businesses in all phases of class action litigation, as well as in civil and criminal proceedings involving federal, state, and foreign enforcement agencies. Defending The Reynolds and Reynolds Company against state and federal antitrust claims relating to data management system access. In re Dealer Management Systems Antitrust Litig., MDL No. 2817 (N.D. Ill.). National counsel defending industry-leading multinational electronics companies in criminal and civil price-fixing actions regarding cathode ray tube products; In re Cathode Ray Tube (CRT) Antitrust Litig., MDL No. 1917 (2007-present). Representing international electronics companies in criminal and civil price-fixing actions concerning thin film transistor liquid crystal display products; In re TFT-LCD (Flat Panel) Antitrust Litig., MDL No. 1827 (2007-present). Representing leading manufacturer in price-fixing actions concerning lithium ion rechargeable batteries; In re Lithium ion Batteries Antitrust Litigation, MDL No. 2420 (2012-present). Defended Samsung Electronics companies in civil price-fixing class actions and related U.S. DOJ and foreign enforcement agency proceedings regarding static random access memory chip products; In re SRAM Antitrust Litig., MDL No. 1819 (2007-2011). Antitrust counsel for Samsung Electronics defending IP-related antitrust claims in multi-billion dollar litigation with Rambus, coordinating with patent counsel in worldwide related proceedings; Rambus Inc. v. Micron Technology, Inc., et al. (2007-2010). National counsel defending civil price-fixing and government enforcement actions regarding dynamic random access memory chip products; In re DRAM Antitrust Litig., MDL No. 1486 (2007-present). Defending senior executives in DOJ antitrust grand jury investigations of auto parts industry and real estate foreclosure auctions (2011-present). Represented Seagate in class actions challenging disclosures about computer hard drive storage capacity, including leading case regarding class action settlements, Cho v. Seagate Technology Holdings, Inc., 177 Cal. App. 4th 734 (2009). Represented Taiwanese business owner before China International Economic and Trade Arbitration Commission (CIETAC) in series of disputes arising out of sale of textile-related businesses (2009-2010). Represented a national bank in an action brought by franchisees of a tax preparation service in which plaintiffs asserted unfair business practices and sought to certify a nationwide class; obtained a complete dismissal of the action before any discovery had occurred (2008). Participated in a highly publicized internal investigation of a 20+ billion dollar insurance provider (2008-2009). Why aren't there more California below-cost pricing cases?